Genuine tip warning! Like most of us I suspect, I have never found a printer that was simultaneously reliable, easy to use, and cheap to run. The main issue has been print cartridges – cheap ones clog the machine or break it entirely, and manufacturer’s’ ones are outrageously expensive. I have now found an answer to this problem. I should be clear that this tip refers to home general purpose printers, for producing b/w or colour documents and occasional prints, plus copies. From my perspective it does not make sense to try to print good photographs of any size at home – commercial photolabs provide scale benefits and quality that are pretty much impossible to match at any price for the home printer- there is nothing that I can buy that is as good as the Fuji Frontier printer they use at Studio22, and they will turn out a perfect 8×12 image for a few pounds. On the other hand I have bought pretty much every brand of general purpose printer over the years None has been satisfactory, and there are some brands I will no longer use at all. HP printers are in the Apple class for me for example. The hardware was quite clever – fast and mechanically reliable, but the software was just horrible. The full install used to run to nearly a Gigabyte, and put on all sorts of HP commercial crap that you didn’t want. Their network software was also pretty useless, and worst of all, different HP printer drivers interfered with each other – so if you used an old HP printer in one location, and a new one somewhere else, they often screwed each other up. To be fair, I think the size of the print drivers has reduced, but I have had such bad experiences with it, I don’t want to go back to HP. Lexmark’s printer cartridge price gouging and poor build irritated me, and their poor quality is probably one reason why they have just announced they are leaving the consumer printer market. So that leaves Epson, and Canon, both of whom I have some liking for. However, my most recent Epson printer, an SX610FW, while being mechanically brilliant, had huge problems with even the standard Epson cartridges. It has been back for repair 3 times while in warranty, and is now so comprehensively blocked that the company are going to replace it entirely. Using cheap replacement cartridges in these machines is a complete no-no, but a full set of cartridges costs £35 or $50, and they don’t last too long. Deeply unsatisfactory. In general, using cheap cartridges on any brand of machine is a complete lottery. They can either ruin the machine, as with the Epson, or be unusable, as is often the case with HP or Canon, meaning the cost of throwing away dud ones is almost the same as buying the kosher, gougingly priced manufacurer’s one. Buying cheap cartidges from a reputable retailer seems to confer no benefit – I have bought dud cartridges from just about every major retailer in the UK and SA. What to do then? 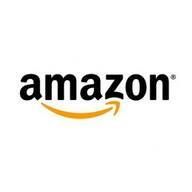 I noticed recently, while ordering cartridges on Amazon, that some suppliers were getting really high ratings. Sadly though, they didn’t offer cartridges for the printer I was looking for. Here is an example of an Amazon UK search for ‘printer cartridges’ sorted by rating. The first one on the list gets 60 x 5* ratings! Looking at the ratings, they appear kosher – you can usually tell when the ratings have been written by the supplier. 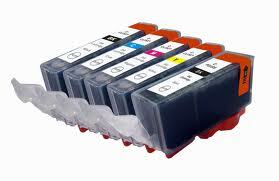 The company involved is called ‘First Call Inks’, but they only do inks for a few kinds of printers. So I called them, to see if they had inks for the printer I wanted. I spoke to a very knowledgeable bloke – who turned out to be the owner. He was clear that they only supply inks for printers that work well with compatible inks, and are themselves of good quality. The ones they did most for were Canons. So the next time I needed a printer (not long) I ordered one of the printers he supported. This is the trick – instead of buying a printer and seeing if cheap cartridges will work – start with the cartridges that work and then buy the printer that fits. I ended up getting a Canon MG5350. It’s a good quality, fast office all-in-one. The supplied inks ran out pretty sharpish, and the replacement ones from Canon were around £15 each – and 5 are needed in total. From First Call these were £9.00 in total (for all five) with free delivery. With some trepidation I put the replacement cartridges in – and bingo! Perfect! I have now replaced numerous cartridges of all colours, and they all work perfectly, and at around 1/6th the cost. 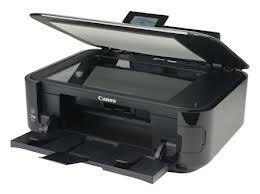 By the way I chose Canon because the printer ink guy said they were the best – and I think he was right. But they also do inks for Epson and Brother – personally I will be cautious with those given my prior experience. The same approach oddly does not yield such clear results in the US, but this search shows a supplier and range of supported printers that get pretty solid ratings. So there you go. Start with the cartidge, then choose the printer. No charge for this tip, but it really worked for me – and maybe it will for you too.